If your inner circle includes someone who loves a flavorful sip, these gifts for wine lovers is a must-view for your ideas list! When you have a multitude of gifts to give — say, during the Christmas season, or when your friends inexplicably all have birthdays in February — many people might suggest making it easier on yourself by giving gift cards. However, gift cards are never the answer. No, no, no, friends. The answer is always: wine, give wine. Have you ever witnessed someone meet a gift of a bottle of wine with a frown of disappointment? No, you haven’t. 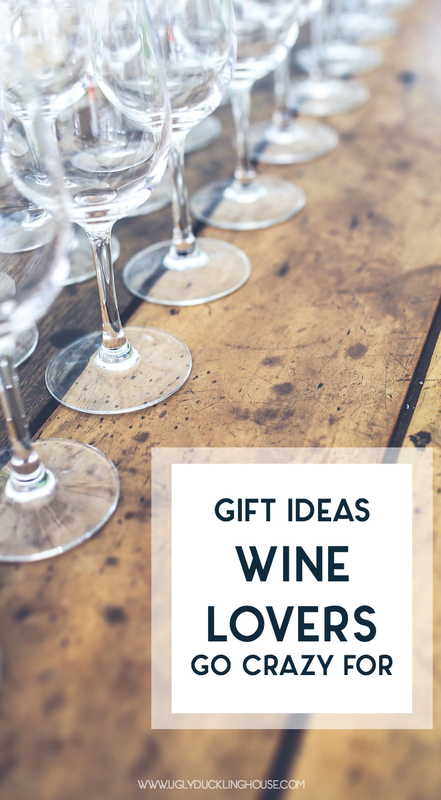 This giving season, remember this and expand upon the wine idea by wrapping up a fun, wine-themed gift for all the wine-lovers you know (which, admit it, is basically everyone, right?). While I admit the use and purpose of a wine decanter is a bit mystifying to me, I know for a fact nothing accents a dinner table or bar cart quite like a beautiful statement-piece of glassware. This Rabbit RBT Decanter has a uniquely elegant shape and luxe gold accents that are sure to impress your guests and make any get-together, no matter how casual, feel like a classy affair. We’re all familiar with drinking games, here, but the Winerd Wine Trivia and Blind Tasting Board Game takes things to a whole new level. Perfect for anyone who considers themselves a connoisseur or someone who would love to learn more about wine, this board game is an interactive way to engage with our favorite fermented treat. There’s something truly cozy about sipping wine in front of the fireplace on a cold winter night. Give the gift that can recreate this feeling throughout the year with a Rewined Candle. Choose from favorite scents like Pinot Noir and Champagne, and be sure to clean out and save the container once it’s burned through; it’s made from a recycled wine bottle! Speaking of recycling…there are so many Pinterest crafts out there that reuse wine bottles in clever ways! From lanterns, to flower vases, to cheeseboards, etc., finding the tools to make these crafts a reality can be tricky. That’s why the Genround Cutter is such a useful gift. Save yourself a trip to the recycling center and make drinking glasses, pencil holders, vases, and what-have-you with ease. Goodbye shower-beer, and hello shower-wine! Or bubble-bath-wine, whatever’s your style. This SipCaddy Portable Suction Cupholder means you never have to worry about knocking your glass of chardonnay into the tub water again. Whether your evening plans are to take a relaxing soak in the bath or you only have a limited amount of time before the in-laws show up, your wine will never have to leave your side. Please note I am always guilty of this. As a predominantly red drinker, I somehow only remember to put the white wine in the fridge right as my guests are knocking on the door. Hence why the ZEOTOUCH Wine Chiller would be so handy. Simply place the frozen stainless steel rod into your bottle of white, chilling it in mere minutes. It includes a pourer top, so you won’t have to remove it before serving! Give the gift of knowledge with the book, Wine Folly: The Essential Guide to Wine. Ideal for those who want to know more about the varieties, geography, and ways to taste wine, as well as the best pairings with food. Colorful and reader-friendly infographics mean you don’t have to be a sommelier to understand the complexities that produce the good stuff. See also: The One With Bare Walls. This set of three posters “capture[s] the pure joy of drinking wine” with illustrations that are a little bit surreal, a little bit classic, and a little bit humorous. Perfect for anyone wanting unique décor on a budget. When buying wine off the shelf has lost its appeal, or perhaps feels too easy, the Craft a Brew Make Your Own Wine Kit is the solution. Consider this the go-to gift for anyone who said they wanted to be a mad scientist when they grow up, because this is true chemistry in the kitchen. Have a friend for whom traditional is just not their style? Go with a set of stemless glasses with an unexpected and vintage-feeling design. Personally, I love a smaller-than-usual stemless glass; they fit well in the palm and feel somehow more French and sophisticated (maybe that’s just me). Also. these would be great multi-use glasses for those living with little storage space to spare. Just remember the mantra, folks: wine over gift cards. Are there any fun and unique gifts for wine-lovers I’ve overlooked? What’s your favorite wine to give? I’d love to know! P.S. Sarah here. If you want more ideas for craft beer lovers, DIYers, ideas from the dollar store, pets, and more, I’m reorganizing these into their own tag so you can spy them here. I’ve been meaning to create good gift guides for ages and have also just now added my own Amazon shop along with a page for products I use so you can see lots of the things I love, so go check that out if you are still struggling for some gifting goodies. I’m updating as I go (and there are only a few days left before Christmas, so I’m hurrying! ), so feel free to check them out over the next few days as I keep adding! 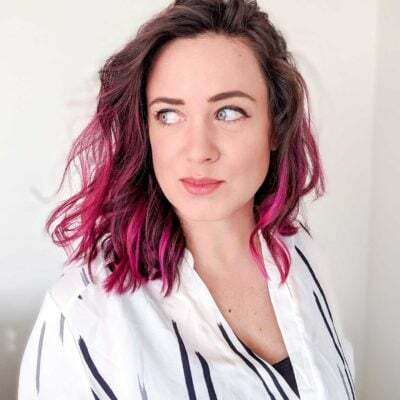 Caroline is a North Alabama native, recent graduate of the University of North Carolina at Greensboro's MFA in Creative Writing Program, and freelance writer and editor. Having recently moved to Oakland, CA, she spends her free time digging through bins at local vintage stores, posting on her food Instagram Radish & Yolk, and searching for the perfect bowl of phở. Oh my gosh, this is such a good list! That SipCaddy is just too funny but I’m kinda thinking I need one too! HA! :) Thanks for sharing these ideas!! I’m totally stealing a few!! Haha no problem! I hope it leads to some really happy gift recipients (or just one, if you go shopping for yourself). Merry Christmas!